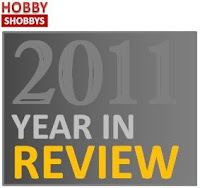 Now that the year 2011 is almost over and all are set to receive the new year with renowned hopes and dreams, let me thank all my viewers for visiting 'Hobby Shobbys' and liking it. We at 'Hobby Shobbys' made our every endeavour to talk of all known hobbies people adopt around the world and would continue to add more and more to make our blog more accessible and likable to suit the hobbies of all hobbyists. Awesome Quotes for "Some Occasions"
Thank you all and I wish you a very Happy New Year 2012 - May all your dreams come true in days to come. Ameen / Amen.